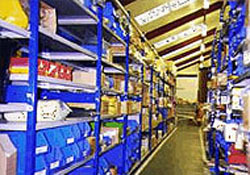 With over 6,500 different product lines, we can offer our customers a fast and reliable service, ranging from the delivery of one off items to a complete range from our current catalogue. We are always updating our products and data bases and constantly monitoring our buy in prices to ensure our customer have quality products at competitive prices. For items not included in our range see our Special Orders section.